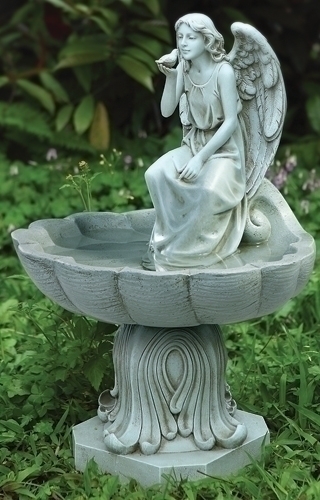 Add an angelic touch of elegance to your outdoor space with this attractive bird bath. The creative design will instantly become a stunning focal point offering a serene mood to your garden. From the popular Joseph's Studio Collection, long recognized for creating quality religious art lovingly displayed in Catholic homes and gardens everywhere.